Can Insects Lay Eggs In My Ear? This may seem like a strange question, and indeed is not something most people ever think about, but surprisingly enough is a comment that comes back more and more often, about whether or not insects can live or make a home of your ear. The reason probably comes from stories and urban legends where people have reported instances of insects being found in their ears, although the source of these stories can be hard to track down. So it is true, can insects lay eggs in your ear, and does it happen with any frequency? Most of the stories we hear about these types of things refer to spiders being found in an ear, or perhaps other common insects. In those cases, the veracity is doubtful. It certainly is possible for a spider to go into someone’s ear as they sleep, but it seems unlikely that they could make it into a home. First of all, even if an ear canal could be a moist, comfortable place for an insect, there is little to eat, so they would need to come out at some point. Also, if you clean yourself, you likely won’t allow your ears to become filthy enough for an insect to stay there undetected. It is a simple matter to get them out, and if you can’t, then filling your ear canal with mineral oil will kill them off. Typically, what seems more credible is when people talk about smaller, less common insects. 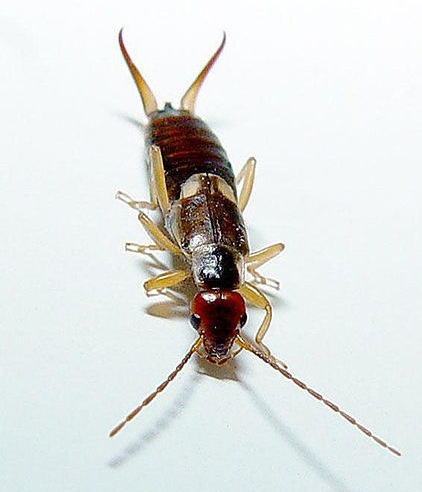 The earwig for example is a family of insects that love to make themselves at home in small crevices. They are very small and flat, so that they can fit in small areas. They have been observed in all sorts of small areas, so it isn’t inconceivable that those could enter and be undetected for a bit. However, again the evidence isn’t conclusive. There are only a few urban stories and nothing to back them up. Chances are these insects are far more comfortable on the ground than on your skin, regardless whether it’s inside an ear or somewhere else. Instead, what typically happen are worms such as intestinal worms, inside of your body, things you ingested by mistake when going on a trip abroad. There are scientific studies about those, and medical professionals have developed treatments to take care of these things, while we don’t have any earwig removers out there. These types of worms are more dangerous and should be taken seriously, whereas ear insects are mostly the subject of science fiction. With that said, it’s still important to keep your ears clean enough to detect any such instance. After all, hygiene is the most important part of medicine, since preventing diseases is far easier than dealing with it after the fact. Insects can be creepy and scary to some people, and there are many products and means of getting rid of them, however it’s best not to dwell upon the fictitious problems, and concentrate on what can genuinely happen with a lack of self hygiene. Click here to see the most dangerous insects on the planet.